The Girl Scouts of the USA announced the introduction of 18 new cybersecurity badges this past spring. As a result, Girls Scouts of all ages (K-12) are able to explore opportunities in STEM while developing problem-solving and leadership skills starting in 2018. An official press release from The Girl Scouts of the USA states that according to the latest Cybersecurity Jobs Report by Cybersecurity Ventures, the worldwide deficit of qualified cybersecurity professionals will reach 3.5 million by 2021. The data suggests there’s a lot of career opportunity for girls in cyber. But only 11 percent of the world's information security workforce are women, according to numerous sources. Why so few women? The Computing Technology Industry Association states that 69 percent of women who have not pursued careers in information technology attribute their choice to not knowing what opportunities are available to them. A study by Raytheon indicates that less than half of high school students have been approached by a parent, teacher or guidance counselor about an education or career in cybersecurity. 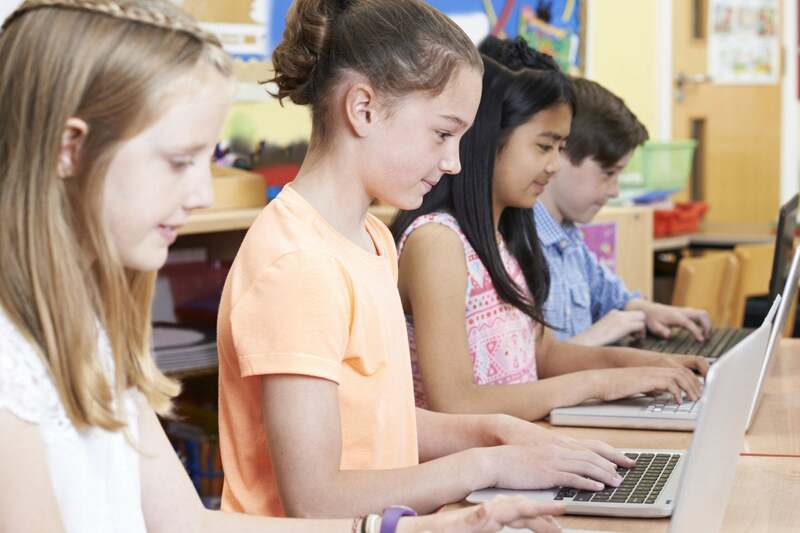 If parents and educators don’t start talking to their daughters about cybersecurity now, then it will perpetuate the problem and hold down the number of women entering the field. So, exactly what can Mom and Dad share with their daughters about cybersecurity? The National Cybersecurity Alliance publishes a Parent Primer for Guiding Kids to Careers in Cybersecurity. It’s a quick read chock-full of excellent resources to help parents get up to speed on cybersecurity if they aren’t already. One of the biggest myths about cybersecurity is that all of the jobs involve sitting behind a computer for the day. While that may be true of some positions, it’s hardly the case for all of them. Diedre Diamond, founder and CEO of CyberSN, a cybersecurity staffing firm, and #Brainbabe, an organization dedicated to the advancement of women in cybersecurity, shared a list of cybersecurity jobs that sheds more light on career possibilities for girls. We took Diamond’s list, narrowed it down and added some commentary for parents to consider. Security Sales Account Manager — A good salesperson can sell anything: Girl Scout cookies, technology, you name it. Why not sell in the cybersecurity market that is predicted to exceed $1 trillion cumulatively over the next five years. Cybersecurity Recruiter — A high schooler with a knack for matchmaking might transfer that experience into the world of headhunting cyber fighters. Cybersecurity Attorney — Thinking of law? Then think cyber law. It’s a lucrative niche with far more upside than a general practitioner. Cyber Insurance Specialist — Insurance broker? Nah. Cyber insurance broker? Yup. Cybersecurity insurance is the next breakout category in our industry. Security Awareness Trainer — If you know something about cybersecurity, then you know more than most people. The market for training employees on security is exploding and so is the market for professional trainers in cybersecurity. Security Call Center Operator — If a kid likes the idea of sitting behind a computer and wearing a headset all day, then customer service might be the answer. Security Engineer — Software coders with an aptitude for cybersecurity are in high demand, and they earn high pay. Security Analyst — Information security analysts are one of the fastest-growing occupations, according to the U.S. Bureau of Labor Statistics. There were 100,000 job openings in the U.S. last year just for this position alone, and the median salary was $92,600 — and into six-figures in some cities. Penetration Tester — Breaking and entering, and it’s legal. These positions are held by people who are hired to test an organization’s security, or lack of it, by attempting cyber intrusions. Incident Responder — Much like other professional emergency responders that serve their communities, cyber incident responders are the digital counterparts. Forensic Engineer — If a kid excels at Who, What, Where, When, and Why, then that transfers well to digital forensics, as well as digital investigations. Cryptographer — Games such as word descramblers and word finders can be a springboard to an education in cryptography. Security Sales Engineer — Half salesperson and half engineer, these are some of the highest paid people working for cybersecurity software companies. Their job? Giving demos and making presentations. Founder — Billions of dollars have been invested into cybersecurity startups over the past few years, and the money is expected to keep flowing. As with any field, there’s room for entrepreneurs of all ages in cybersecurity. Chief Information Security Officer (CISO) — The security head honchos — CISOs — at large corporations oversee cyber defense and earn anywhere from $200,000 to $500,000 annually, with some salaries reaching as high as $1 million. Privacy Officer — Data and digital privacy, as well as personal privacy, is a hot topic and offers hot jobs such as Privacy Officers that focus exclusively on this dimension of security. Compliance and Risk Manager — Organizations globally are responsible for complying with laws that govern data and computer security. Compliance and Risk Officers are tasked with keeping up on this and overseeing the implementation of business processes, technologies, and security that are required by law. Security Product Manager — All cybersecurity software and hardware companies employ marketing professionals who are responsible for branding, public relations, and revenues for specific products. According to Diamond, there’s up to 32 different cybersecurity jobs that women in cybersecurity can choose from. OK, parents, now talk cyber to your daughters. The cybersecurity field wants them!